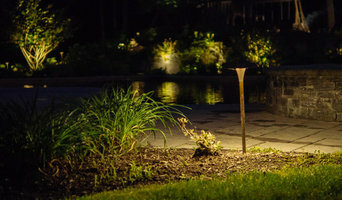 Landscape Lighting Design of NE is an independent, creative landscape and architectural lighting company that looks beyond the confines of four walls and considers overall design. Applying 20 years of experience, Darrin listens to your needs, deeply considers your situation, pursues a creative solution, and expertly makes it real. Every situation is unique. Every area is its own. Every setting deserves to be considered for its independence and how it interacts with the "whole". 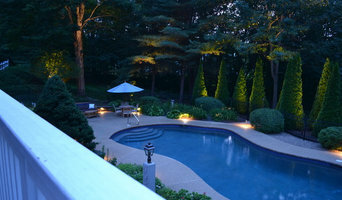 Architectural features, walkways, patios, decks or gardens, Landscape Lighting Design of NE offers many options. Your need may require one or many. LLDNE takes the time to consider your space and needs and craft an innovative design that is all you. Full service design, install and maintenance of your Landscape Lighting System, specializing in LED conversion of existing Halogen systems. Northern Outdoor Lighting is an award winning professional landscape and architectural lighting system design and installation firm. We take an artful approach to the science of outdoor lighting. We work with the needs of our clients to beautifully illuminate their homes architecture, landscapes, and outdoor living environments in a natural and subtle manner. Our years of experience, and vast knowledge of outdoor lighting products and equipment enable us to achieve the most professional results possible. I have been lighting homes for 30 years and I am educated about the latest techniques and LED advancements. I am a past President of the AOLP Association of Outdoor Lighting Professionals and am currently theHead Chairperson for the Certification program we have developed for contractors because there isn't any state testing for this industry. 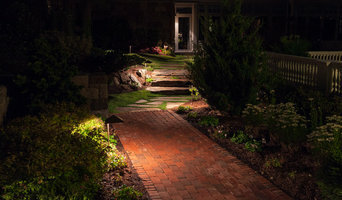 By infusing our passion for landscape lighting with the best products and practices, Commonwealth Landscape Lighting will fulfill your vision of light for your property. 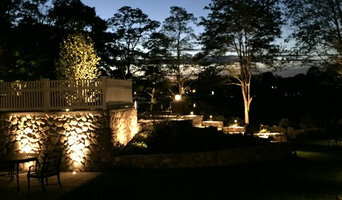 We will surpass all current expectations and create an atmosphere of excitement for future landscape lighting design. Our mission is to provide our clients with world-class solutions and service. We believe we are at the cutting edge of communication technologies.Our reputable expertise has afforded us the ability to work on over 3,500 projects and has warranted us to be named an Authorized Reseller of Control4, Crestron, Paradigm, Sony, Panasonic, Yamaha, Sharp, Samsung, Microsoft, and many other renowned vendors of A/V and technology. Our superior customer service has produced a staggering record of satisfied customers that return to Running Solutions with new projects or referrals. Back in 1931 when the store was founded, the original owners Edward, John and Mary Fleming set out to offer the best products and service at the best prices. Today, the Smith’s carry on the same business ethic. Fleming's is a truly unique store, not only carrying a wide selection of lighting, but delightful gifts and decorative accessories as well. Bring your lamp to Fleming's for a new shade or a complete restoration. Fleming's also restores brass, copper, pewter, and silver to its original condition. Our dedication to our business results in outstanding service, to you, our customers. We have been known to bring sample lamps to our customers homes to determine just the right lighting for your specific space. IVC specializes in industrial network video solutions for surveillance and remote monitoring. Our range of products includes industrial network cameras, video management software, and a full range of accessories. We offer a complete line of video products that are certified for use in hazardous areas (Class I Division1, Class I Division 2, Zone 1, ATEX). Our camera management software is specifically designed to manage large networks of cameras. Our highly configurable software solutions are based on open architectures that facilitate the integration of other devices and systems typically used in conjunction with industrial video systems, including legacy analog CCTV systems. Where required, IVC is willing and able to design custom solutions. We can design tailored hardware solutions to meet unique environmental requirements as well as custom software solutions to provide the user functions needed. Established in 2006, NorthShire Landscaping & Irrigation is committed to excellence and continues to be an outstanding business in Nashua and the surrounding areas. Please contact us for any of your landscaping design and implementation needs from lighting to irrigation and lawn/landscape maintenance. We contract for both residential and commercial customers and are fully insured. We have been providing lighting production services, sales, rentals, repairs and permanent systems installation for the entertainment and architectural lighting markets since 1985! We take pride in providing our customers with the high level of service the industry has come to expect from Port Lighting. Events United is a full service audio visual production company with a complete inventory of sound, lighting, video, staging and backline equipment. Specializing in event production, concerts, corporate conferences & meetings, theaters, weddings, houses of worship and other special events, we will make your event sound and look fantastic. If you're looking to rent the highest quality speakers, cameras, lights, backdrops, staging, drum sets, guitar amps, and much more, you've come to the right place! Our prices are competitive and our service is top notch. Feel free to contact us if you're looking for a production service, rental, or installation. What services do Wakefield outdoor audio and visual system professionals provide? For the most part, people hire outdoor entertainment system providers for backyard installations. After all, pool parties and barbecues are much more fun when there is music to enjoy. How do they do it? Your Massachusetts outdoor custom audio system technician can work with your landscape designer or architect to install weather-resistant outdoor speakers, discreetly buried into your landscaping with no loss of sound. Here are some related professionals and vendors to complement the work of outdoor lighting & audio/visual systems: Landscape Architects & Landscape Designers, Landscape Contractors, Decks, Patios & Outdoor Enclosures, Siding & Exteriors. Home theaters are moving outdoors, too. Sports fans can grill without missing the game, and families can invite neighborhood friends over for movie nights. Special weatherized flat-screen TVs are coated to minimize glare. Imagine your Wakefield, MA backyard with a custom-designed outdoor theater system — complete with a large projection screen. It makes backyard entertaining easy. Find outdoor audio and visual system professionals on Houzz. 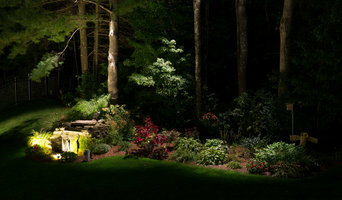 Look in Houzz’s Professionals section to find Wakefield, MA outdoor audio and visual system experts. Narrow your search to the nearest city or metro area for a list of nearby businesses. Get contact information, read reviews and look at completed Massachusetts custom outdoor sound system projects.